The Outdoor Interiors Eucalyptus Venetian Bench provides curvy style and elegance beyond compare. 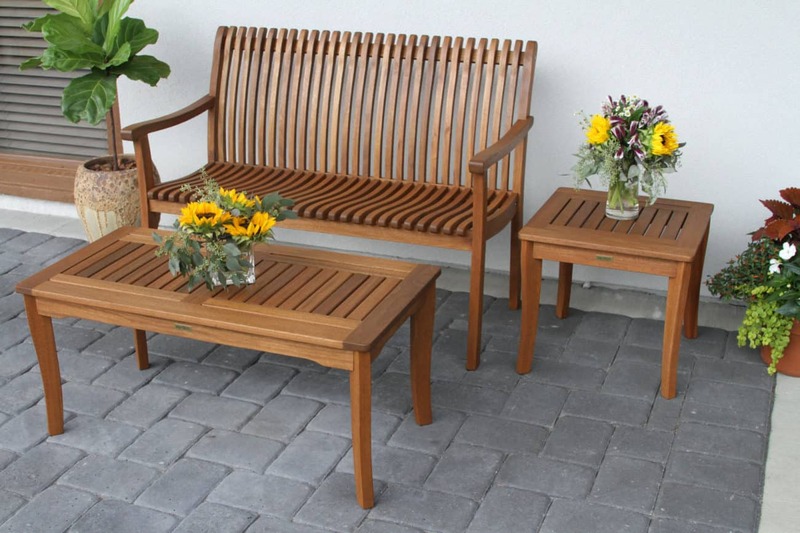 The Venetian Bench is made from plantation grown Brazilian Eucalyptus hardwood and is finished with a beautiful brown umber stain for long-lasting durability in all climates. The stylish design and curve of the bench brings incredible comfort and requires no cushion. Goes well on decks and patios with any seating group.